Microplastics (MPs) are now widespread in soils, freshwaters, and oceans around the world. They may pose threats to ecosystem functions. With strategic research in the Saint John River watershed funded by Environment and Climate Change Canada through the Atlantic Ecosystems Initiatives program we will address the following knowledge gaps: 1) What are the distributions of MPs in water and sediments, 2) Are aquatic organisms acquiring MPs in or on their tissues, and 3) Do organisms show stress associated with MP exposure? Understanding pathways from land to aquatic systems and food webs are crucial. We will also use a geographic information system (GIS) approach to map MP distributions and land use in the watershed and relate this to organisms at our sampling locations. Collaborator Dr. Dave Lieske will lead the spatial mapping component of the project. 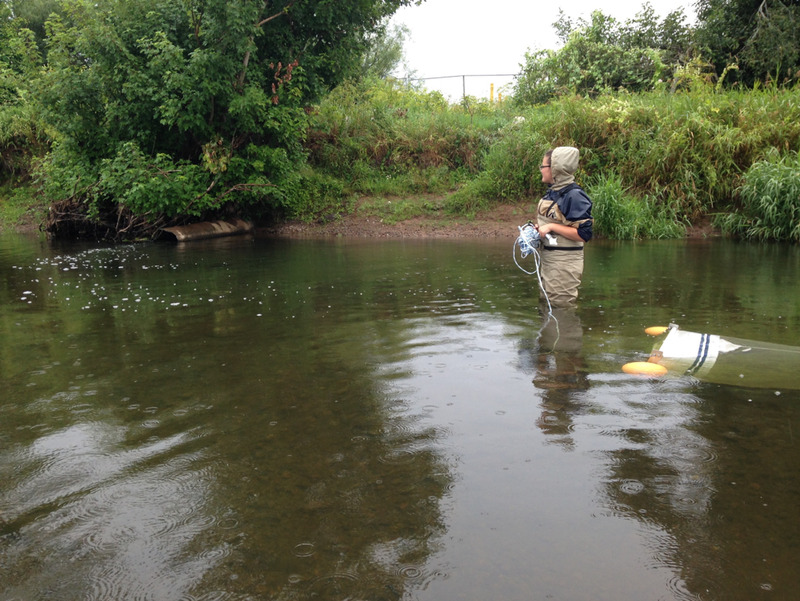 Freshwater mussels are powerful bioindicators to study MP impacts on the aquatic food web. We will quantify MP accumulation and develop indicators of toxicity in freshwater mussels. Here, ecotoxicology expertise will be provided by collaborator Dr. Tyson MacCormack. Our findings will be communicated through our diverse partners to the public, program managers, and policy makers to facilitate solutions. Microplastic fibers and fragments collected from 160 L of water from the Saint John River watershed. River water sampled for microplastics downstream (left) and upstream (right) of discharge points for waste water treatment plants. Aquatic Biomonitoring Research Assistant sampling microplastics in the water column during July 2017.